Nesma has revised the standard for function point analysis. As of February 1 it has been accepted as international standard ISO/IEC 24570:2018 by ISO. 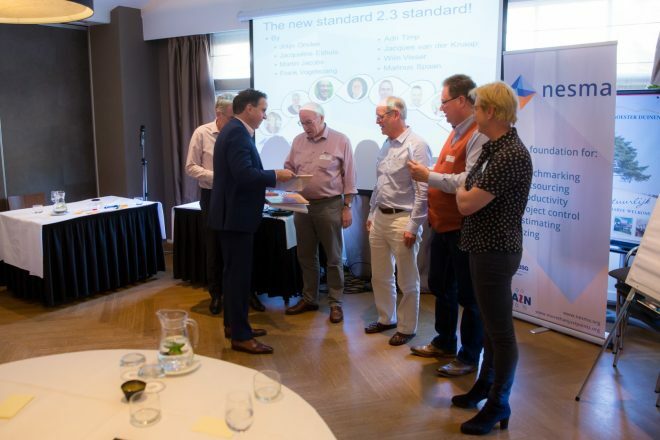 It is launched officially on April 19 during the presentation of the new standard at the Nesma Spring meeting in Soest. Function point analysis describes the amount of functionality that software offers to its users. It can be considered to be the “cubic meter” of the software industry. The unit of measurement, the function point, is used in contracts where beforehand it is not yet clear how many “cubic meters” of software will be required. That makes it the ideal mechanism for price agreements in agile development and maintenance contracts. The previous standard dated from 2005 and was tuned to waterfall methods. As a result the standard was perceived as difficult to use within agile contracts. How do I get the new standard? The new standard can be purchased via this page as printed copy or as a digital copy, in the English or Dutch language. From this page also the first pages of the document can be previewed. In terms of content, little has changed. Because the method serves as the basis for cost engineering of contracts, stability was the starting point. Only in a very limited number of cases can a detailed analysis can differ slightly from an analysis based on the previous standard. Detailed analyses are hardly done anymore, because practice has shown that high-level analyses lead to practically identical outcome in much less time. This practice is therefore the starting point in the new standard, making the new standard easier to use. A lot has changed in terms of text. Parts of the old standard that often led to questions in practice have been rewritten. Explanation has been added about how to count maintenance and about the growth of software during development. In addition, text sections that could lead to confusion within agile contracts, have been modified or deleted. The biggest change is that the practical examples have been removed from the standard. The examples were part of the old standard, while they were meant as an explanation. This was confusing for a large group of users. To clarify the difference between standard and explanation, the examples are released separately. This gives Nesma the opportunity to publish new examples, without having to make a time-consuming change to the ISO standard. Recognition as an international standard ISO / IEC 24570: 2018 is particularly important for the contracts that use the method as a basis for price agreements. The release notes, containing the details of the differences between the two versions, can be downloaded for free from the Nesma website. For a Dutch description of the changes see here. What are the consequences for contracts? The consequences for contracts are limited because the new standard is backwards compatible with the previous standard. Nesma advises that where the contract refers to the Nesma standard version 2.1, to use this standard or agree on using the new standard. When reference is made to the ISO standard. In that case, the new standard comes into effect. Because the differences in outcome are minimal to nothing, Nesma does not expect any problems here. What are the consequences for certification? Because the differences between the previous and the new standard are minimal, the existing certifications remain valid. However, all certificate holders need to agree that they still want to be noted as certified in the public register. This is because the General Data Protection Regulation will be in effect from May 25, 2018. The register will be empty at first and refilled with certificate holders that have agreed to publication in the public register. From July 19, the first certification exams will be taken, based on the new standard.